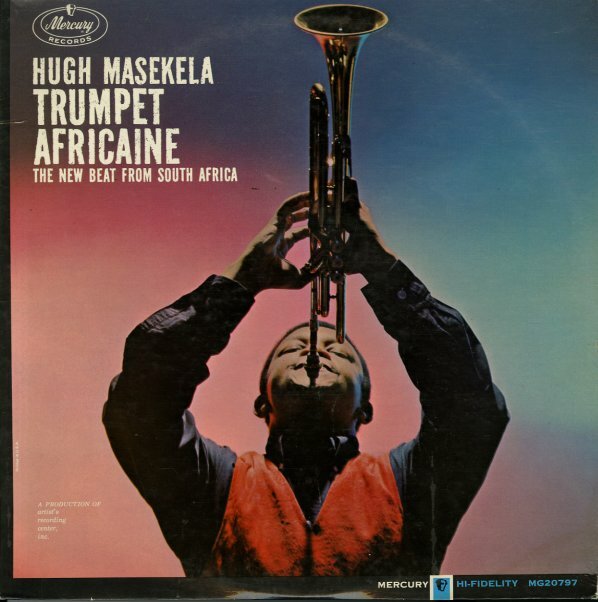 Early work by Hugh Masekela – recorded way before his big hits of the late 60s! The format is different than those recordings, too – with Hugh soloing on trumpet, over larger arrangements by Hugo Montenegro that have sort of a stock African soundtrack-y quality to them. The jazz component of the album is quite high, and all the playing is fairly lively – which makes for a fresh album that stands out strongly in Hugh's early catalog. Titles include "Satisfying Song", "Umhome", "Ox Drivers Song", "Click Song", "He's Gone Away", and "Sit Down". © 1996-2019, Dusty Groove, Inc.